I recently read a 176-word sentence. 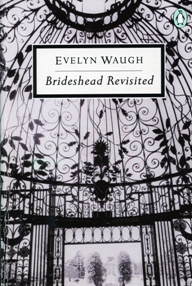 On one of my bookshelves I found an old paperback copy of Brideshead Revisited, and I read it for the first time. What always strikes me about early authors (I’m thinking of the likes of Waugh and Greene rather than Chaucer and Dante) is that their books are such an easy read. Because Waugh’s long sentence was correctly punctuated it read well, and I didn’t have to go back to the beginning of it to remind myself how it started. 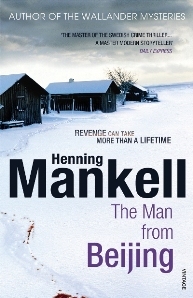 I couldn’t help but compare the writing to that of Henning Mankell, whose novel ‘The Man from Beijing‘ I am reading now. I have read a few of his Wallander novels and I find his use of short sentences irritating, it’s like I am being presented with a list of short facts punctuated by full stops. He (or his translator) use very few conjuctions, reminding me of the first books I read when I was small (okay, I’ve never been small, exactly). You know the kind of thing, ‘Tom had a bicycle. The bicycle was big. It was red. Sometimes it went very fast’. Mankell’s books are not for the young of course, nor for the squeamish. I’m not complaining, I find them refreshingly different. And how could I possibly complain? I can’t even get my novels published. That’s why I love traditional books (& shelves); you can’t just “find” things on a Kindle.